The Banner Saga 3 is ranked in the 92nd percentile of games scored on OpenCritic. The Banner Saga 3 is a dark, enthralling end to one of the best stories in gaming, a story that needs to be experienced by all. An epic close to an epic journey. At the end of the day, Banner Saga 3 is the appropriate swan song of the trilogy; hopeful, mournful, and utterly breathtaking. TBS 3 is a truly special game and the perfect send off for this epic saga. The evolution of Stoic as a studio is apparent with a work that is truly timeless. No doubt about it, The Banner Saga is full of many great gaming moments, many of which are in this concluding episode, and they will stay with me for years to come. The Banner Saga, The Banner Saga 2 and The Banner Saga 3 make for one very fulfilling experience. From the very start to the very end, the quality of the writing, the animations, the visuals, the music and choices you make mesh to create an experience that others would be hard pressed to match. Would I do it all over again? Not tomorrow but yes. There are still loads of choices that I would like to know the outcomes to and I would like to see the adventure through Alette’s eyes. Despite those hiccups, however, The Banner Saga 3 is good. Really good. Anyone who has played the first two will undoubtedly be picking this game up anyways, but for those who are unfamiliar with the series and curious as to how it all ends: do yourself a favor and pick up the trilogy whenever you get a chance. It's not often that games are made with the kind of style and substance that The Banner Saga 3 has been, and, much like a good book, it's nearly impossible to put down until it all comes to a close, where, inevitably, you'll feel like a small piece of you was left with it in exchange for something new, the way all great stories make us feel. It also packs the series' trademark emotional punch for good measure. Combine that host of clever, game-improving systems with an increase in enemy variety, and The Banner Saga 3 is easily the best entry in an already impressive series. The Banner Saga 3 is the perfect conclusion to a fantastic trilogy. A strong narrative and charismatic characters reinforce the outcome of an excellent saga, which should be enjoyed by lovers of good stories and turn based strategic combat. This is a series that you should experience. Not just one game, but the whole trilogy! I suggest you don't come to The Banner Saga 3 without having played the other ones, since understanding how the series works, as well as experiencing the whole trilogy, is how you should take on this excellent strategy series. Play the series and enjoy the ride. The final installment of The Banner Saga trilogy is just as thrilling, fun, and story-driven as the previous two episodes. Finishing The Banner Saga 3 gave me a sense of accomplishment. Even though I did not manage to save everyone, the world will live to see another day. Wounds heal, conflicts eventually wear off, life will ultimately prevail, and that's one of the many things The Banner Saga 3 is teaching us. An epic finale to The Banner Saga trilogy. With tense battles, artistic storytelling and beautiful songs. Your decisions effect the ending and make you play the trilogy more than once. The Banner Saga 3 is a worthy conclusion of the series, which convinces above all by its dense atmosphere and tough decisions. Beautifully hand-drawn artwork coupled with turn-based strategy and meaningful decisions. This vibrant, gorgeously animated tale feels as alive as the top live-action fantasy worlds, even more so with the knockout Austin Wintory soundtrack. The battle system reaches a rewarding crescendo and the story hits a lot of excellent beats as it hurtles towards its thrilling conclusion. From the opening moments of the first game to the finale of the third, this is a trilogy worth playing and this is a great close to an excellent narrative-driven turn-based tactics game. The Banner Saga 3 is a fitting conclusion to a story that needed to be told. 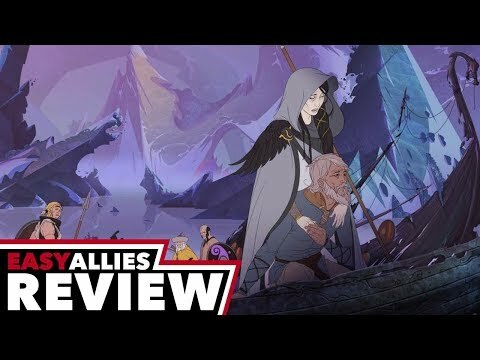 Since 2014, The Banner Saga series has seen good improvements and now, we must say that The Banner Saga 3 is the best installment in this epic tactical RPG series. 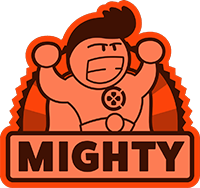 Gameplay elements and battles are so satisfying and addictive and challenge you very well. The Banner Saga 3 takes you to an amazing journey with beautiful Art style, nice music and deep gameplay and I must admit that despite some issues in the game, The Banner Saga 3 is still one of the best choices for fans of deep-tactical RPGs and worth your time very well. So don’t wait and join the epic battles of Vikings. The Banner Saga 3 puts a cap on a great trilogy with a fantastic ending. If you played the first two games, do yourself a favor and complete the saga. The Banner Saga 3 is a true epic ending. After six years in the making Viking saga peaks and offers another story-driven RPG with solid gameplay. The Banner Saga 3 is a great ending for the trilogy, yet one not without some flaws. Fans of the tactical games with important choices to make won't be disappointed. The Banner Saga 3 is a journey worth taking -- and a worthy concluding chapter to a winding, fantastic tale. 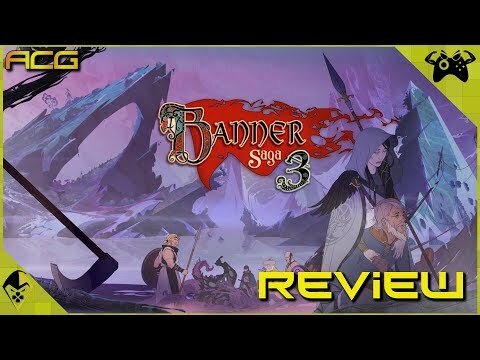 Banner Saga 3 is the epic conclusion to the series and one that fans are sure to greatly enjoy. There’s not much new here, but that’s fine given that the first two games were so fun to play. Since Fire Emblem was delayed to 2019, give this trilogy a shot! The Banner Saga 3 is a great finish to a saga with very few mistakes in its execution, showing us a solid, but simple combat system, a strong plot and lore in a fantastic world, delivered with a writing that can immerse the player in its story even though the interactivity between the characters is somewhat missing - possibly due to the absence of voice acting -, complemented with an excellent musical score and amazing visuals.